With so many advances in modern dentistry, fewer people need full dentures. But for those that do have missing teeth, dentures and partials are more natural looking and discreet than ever. 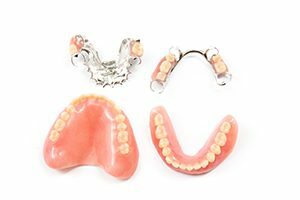 We can customize your dentures to fit your appearance (including considerations for skin, hair, and eye color) or blend partial dentures to match remaining natural teeth.